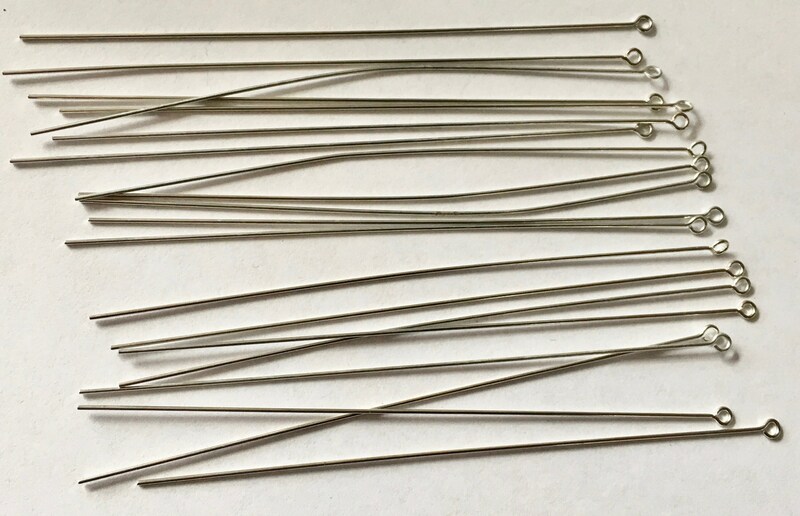 4" eye pins, silver plated brass, 21 gauge. You will receive 20 headpins. These are great for extra long chandelier earrings or for focal bead pendants! More uses though and that's up to you! Pins may not be completely straight but can easily be straightened as you work with them. Perfect. Received quickly. Thank you! Precise 20 sets extra long headpins; very nice quality.